Fashion Week has become one big beauty pageant and with the next set of shows scheduled to take place in just a few weeks, the sartorial action on the concrete is just as important as what’s being shown on the catwalk. The battle between models, front-row fixtures, celebrities and show-goers is a fashionable fight with all attendees clamoring to be crowned most stylish of them all. And while it felt like a revolution just a mere five years ago, street style has made the sidewalk the new catwalk. If it's your dream to get your picture snapped at Fashion Week, these 10 tips will help you to finally score your fashionable moment in the spotlight amongst the Anna Dello Russos of the world. Take a page from street style maven Anna Dello Russo and rock an over-the-top headpiece that’ll be spotted from miles away. Whether in small, subtle doses or unabashedly loud amounts, color in any form will set you apart from the crowd. When your jaunting between shows or hopping into a cab, make sure your shoes make a statement. Especially one that says, “I’m sacrificing comfort and maybe the ability to even walk for this.” Just remember, avoid cobblestones at all costs. Wearing a dizzying amount of coordinating prints is a definite way to catch any street style photographer’s attention. A status symbol for most, carrying around the bag of the season means you’re somebody — and that alone will make photogs want to snap your style. The display of mile long legs will have street style photographers clamoring to take your picture, probably because they’ll think you’re an off duty model fresh from the shows. Your jewelry and accessories should scream “look at me” and therefore should be worn in excess and supersized. Fur in the summer, crop tops in the winter. 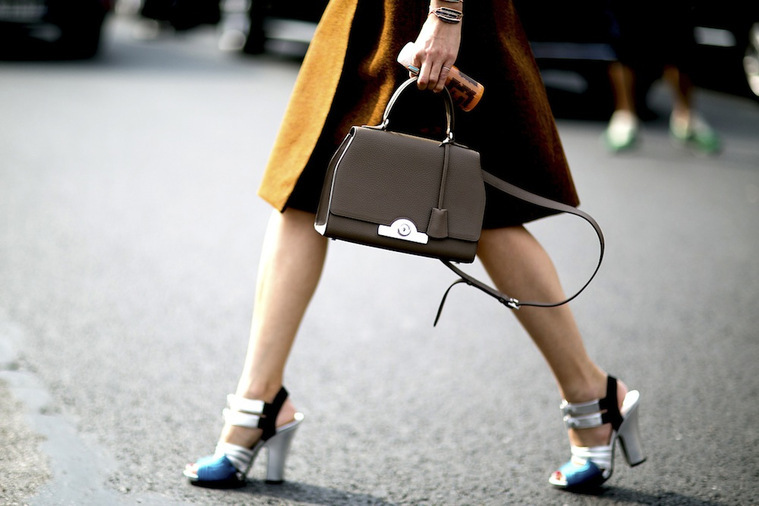 Nothing intrigues the street style eye more than the unusual. When all else fails, show off some spots in the form of leopard print, since it’s a fact in the fashion kingdom that an animal skin can’t be ignored. Not only should your clothing express yourself, it should also say something – literally.